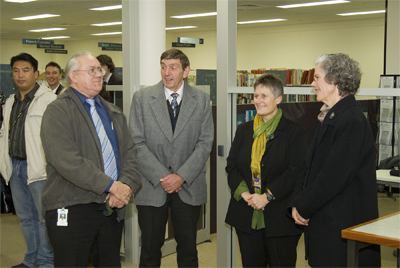 The Australian Society of Archivists Public Access Seminar was held during Information Awareness Month May 2007 before the implementation of Part 3 of the Territory Records Act (No 18 of 2002.). This part of the Act deals with access to records of the Territory Government and its agencies. 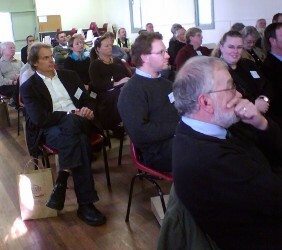 The seminar was organised by the ACT Branch of the Australian Society of Archivists and held at Corroboree Park Hall, Paterson St Ainslie, on Empire Day, 24 May 2007. 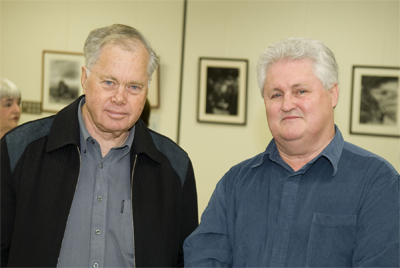 The Speakers were George Nichols, Chair of the Territory Records Advisory Council; David Wardle, Director of Territory Records; Drew McLean, Secretary of the Fire Brigade Historical Society of the ACT; Greg Wood, Canberra Map Circle; Barry Price, formerly of the ACT Schools Authority and Naomi Lamb, researcher. 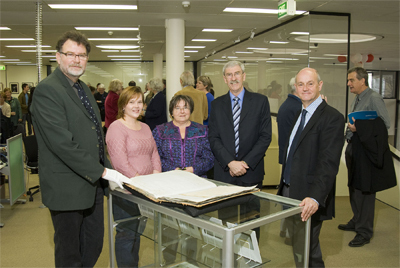 Minister for Territory and Municipal Services, John Hargreaves, today launched ArchivesACT, a new initiative of the ACT Government which enables public access to ACT Government records and archives. "I am also pleased to announce the new ArchivesACT website which will assist the community make enquiries about and gain access to these Government records. 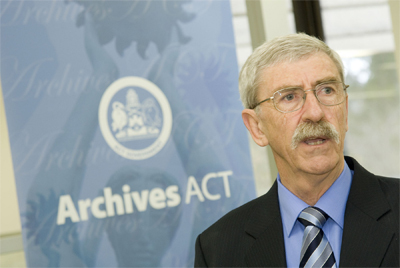 While Government records will still be kept in repositories around Canberra, requests for access will be made via the ArchivesACT website." 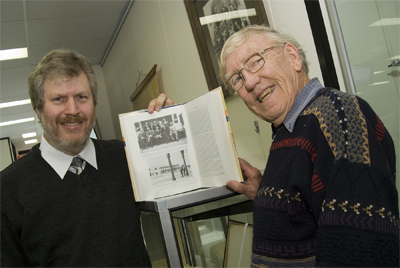 "An assortment of information can be discovered in the ACT Government’s archives including policy, social, cultural and sporting history." "I am happy to announce the access of the Territory’s archives and records of 20 years or older to the public" said Mr Hargreaves.